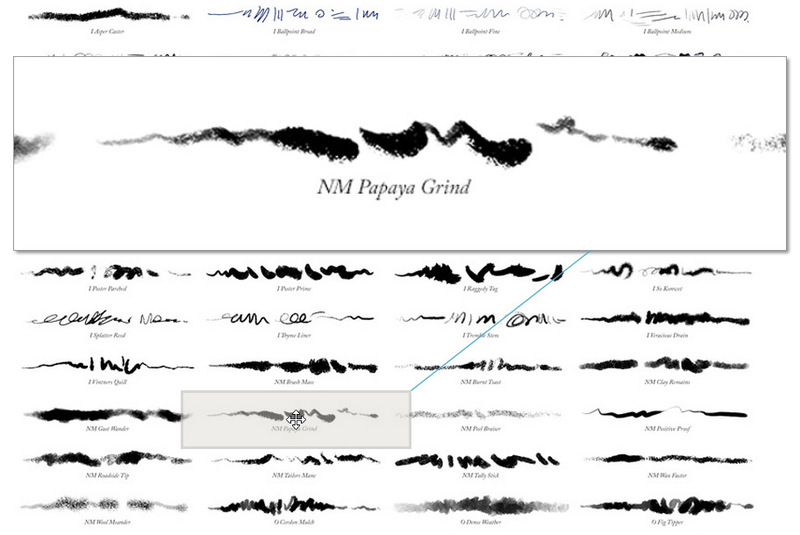 Though I highly recommend you browse them online, you can download the PDF brush stroke browser as an offline reference. 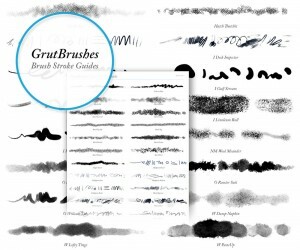 The same brush strokes reference guide images from the downloadable guide but viewable online on one web page. 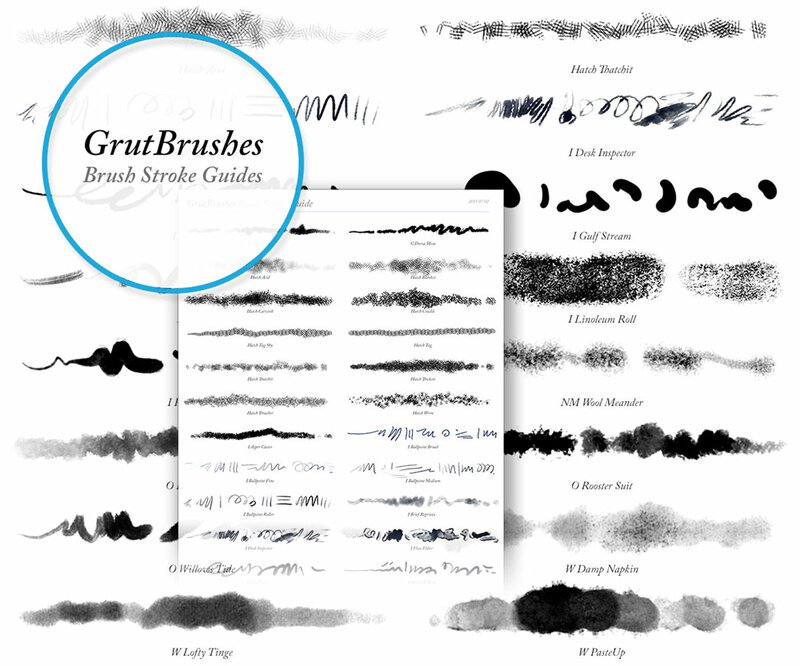 Move your mouse or finger around the image to view a zoomed in detail of brush strokes of every GrutBrush. 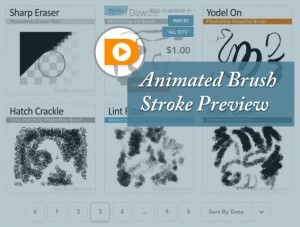 Don’t forget that you can see every single brush stroke drawing ‘live’ in a video popup when you click on the orange play button on each brush in the shop. 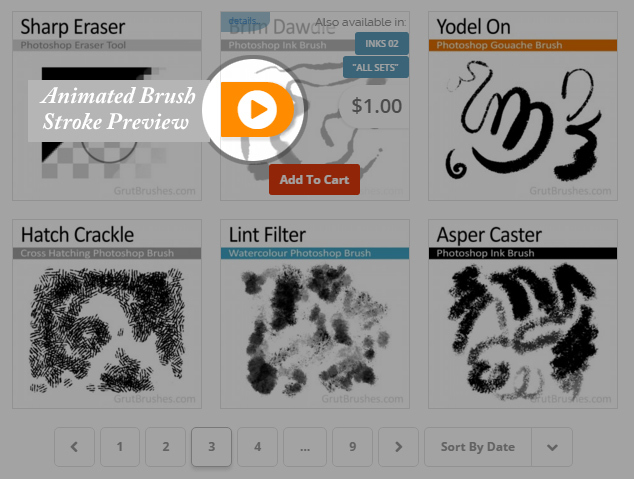 More ways to browse and explore brushes are coming soon! Charts, animated catalog, and maybe even an app at some point. I have installed the “complete” brush package. After intalling it I have seen that all the brushes belongs to the same Set and I have to sorth them manually to different Sets. isn’t it possible to have those brushes automatically sorted during installation? This is a very tricky issue and I have dealt with it in a number of ways in the past. I used to ditribute them in the sets but people didn’t like that they had to install so many sets and most people indicated they preferred a single quick install. So in the end I went with the most popular request, a single set and added the ability to make sets in the plugin making it possible for people to sort their brushes in the plugin. Thanks very much for your feedback though, it makes me think it may be time to rethink this issue and see if I can come up with a new solution. Thanks Alberto! HI- I am new to tablets. It would be great if you had a page for recommendations of tablets, how they work, which ones are the best for various projects. Now that I am inspired by your brushes, I have to go hunting for a tablet, which I know nothing about. Thanks for the suggestion Karen! There are so many good tablets out there today, and what I would say right off the bat is that even the entry-level tablets from Wacom are very good. I will see what I can do in the future in terms of providing a guide. Wow, love them all and can’t wait to play ~ the letter guide, above is good to have as I get to know the brushes, thanks much! 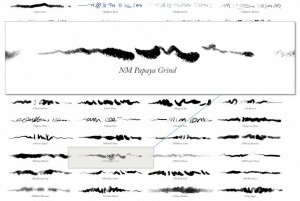 The letters indicate the type of brush but they are also used by the plugin to tell Photoshop what type of tool they are so that they load properly. Excellent suggestion! I will do that, thank you. Definitely do that…it really helps! Thanks for asking…I think it depends on what your process is and how you use the brushes. You can download the free sampler set here and try it out if you’d like! The brushes if those brushes work for you, the rest will as well. oh thanks you so much!!!! the names of the brushes are not very descriptive and this is WONDERFUL now I can get to what I need at once! many thanks for all your beautifull work! Thank YOU for your lovely feedback Marie-Catherine! It’s true, the names are not very descriptive, so thanks for your patience, sorry it took me so long to make this catalog! I wanted to get it right and also to make it something not too impossible to update every now and then. I think this format will be manageable. The reason the names are what they are is that I decided to go with evocative rather than descriptive because in a few years, even descriptive names will not be that helpful when there are 30 brushes named “medium flat dry” (#30) Hopefully once you have a favourites they will be easier to remember by their distinctive names. I do realise that in the meantime it can make it confusing and probably harder to find what you need! I hope the brush guides remove a bit of that frustration. Thanks again!